This marvelous Central Europe river cruise introduces you to the magnificent Moselle, Rhine, and Main Rivers, as well as to the fascinating Main Danube Canal. Your vacation begins in Remich, Luxembourg, where you embark your river cruise ship. Enjoy guided sightseeing in Trier, Würzburg, and Bamberg. Visit Siegfried’s Mechanical Musical Instrument Museum in pretty Rüdesheim, the Bishop’s Residenz in Würzburg and taste some of the Moselle’s much loved wines in Bernkastel. 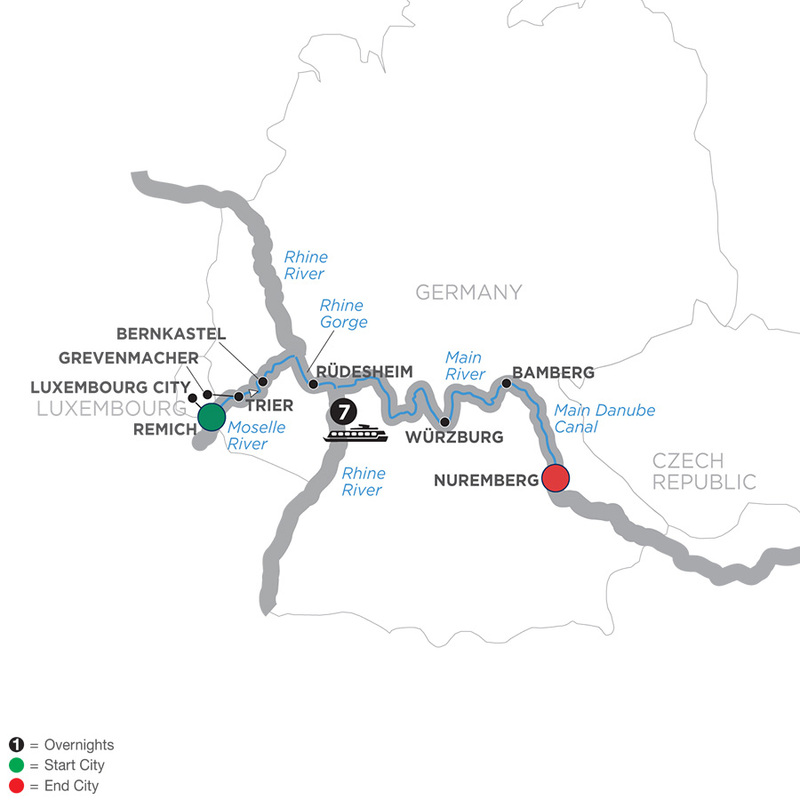 Other highlights: cruise through the dramatic Rhine Gorge, and see the legendary Lorelei rock. Disembark in Nuremberg for the conclusion of your vacation.